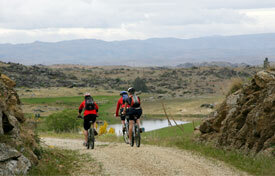 The Otago Central Rail Trail offers you an adventure back in time. Cycle or walk through 150km of some of New Zealand’s most stunning scenery and revel in fascinating New Zealand gold mining history. 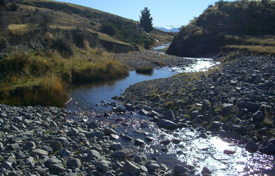 The trail follows the former Otago Central branch railway line, meaning relatively flat gravel tracks. A reasonable degree of fitness is required, and it is recommended that those biking the trail allow at least four days, due to the rough surface. Walkers should allow at least a few days more. 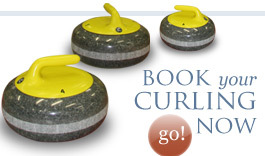 Plan your trip now and book a day at Naseby Indoor Curling Rink! The Rail Trail stretches from Middlemarch to Clyde. Along your journey there are many amazing accommodation options, from luxury to budget. It is highly recommended that you book your accommodation well in advance, especially in the summer months. The Otago Central Rail Trail website has detailed information about accommodation options along the rail trail. Visit www.otagocentralrailtrail.co.nz for more information. The rail trail can either be cycled or walked. If you plan to cycle the trail, bikes can be hired from a range or Bike Hire businesses in the area. 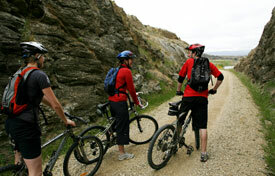 They will provide pickup and delivery services from your accommodation to the Otago Central Rail Trail. For all Rail Trail explorers, transport to and from your accommodation to the Rail Trail is easy! Guided tours are offered by a range of different operators, which include buses to and from the Rail Trail. Other transport options include private car hire, bus, shuttle/mini-bus or air travel. Click here for more information on Rail Trail Transport options.